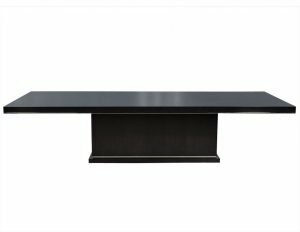 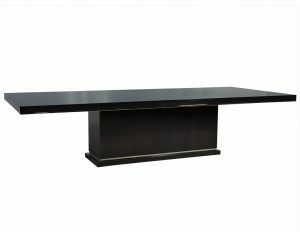 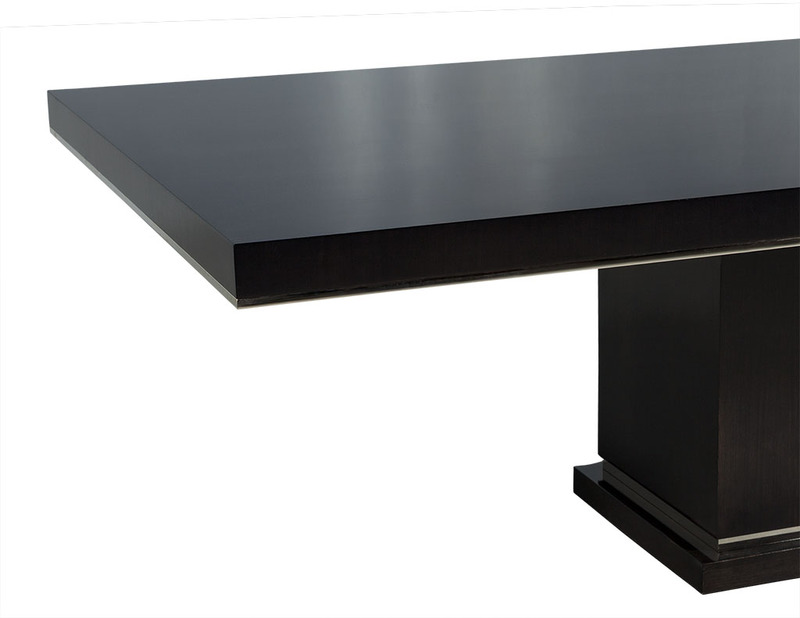 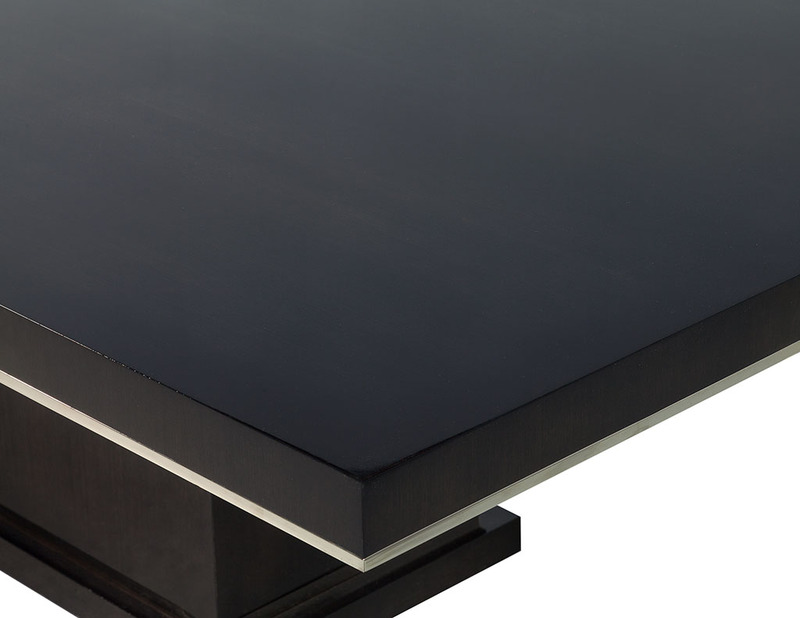 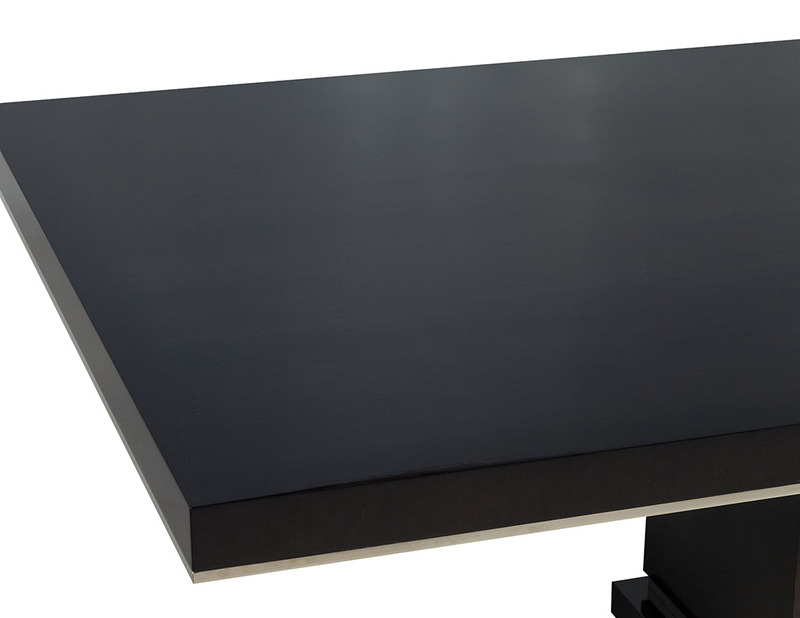 This modern dining table is a Carrocel Custom creation. 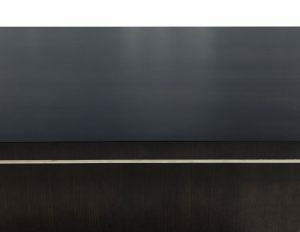 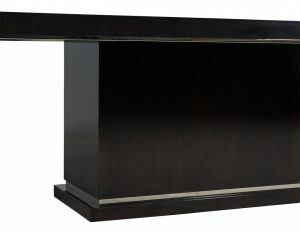 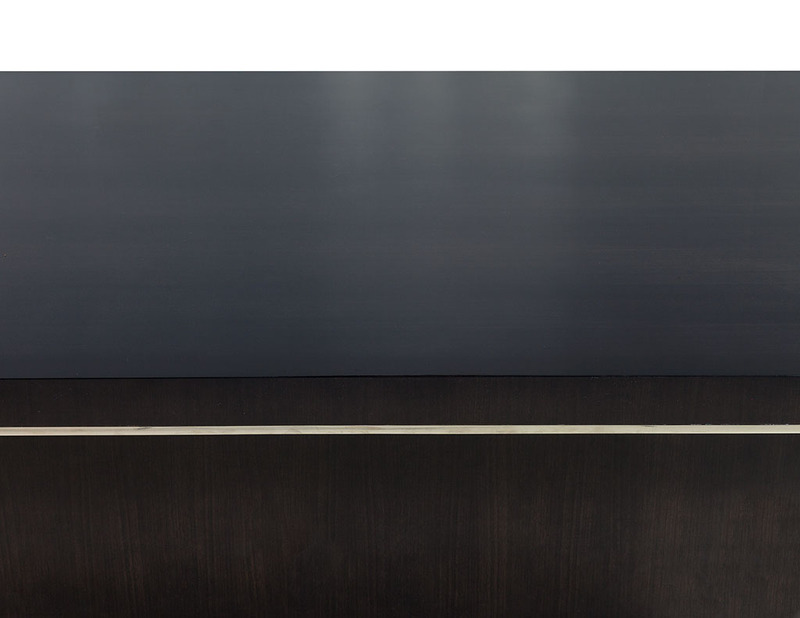 It is handcrafted out of solid walnut and stained in a deep charcoal black finish, hand polished to a luxurious sheen. 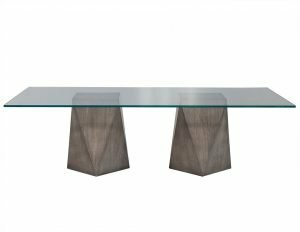 The solid base is accented with polished nickel detail, adding just the right amount of adornment for a contemporary dining room.